World of promotions is brewing up where the ever giant company dealing with the mobiles, wants to flaunt the benefits and the features they are offering to the consumers. They want the promotions to be in such a manner that the user doesn’t get confused and are able to handle the details of the promotions in the right perspective. Currently companies are utilizing the social networks, media, Internet etc. to get themselves promoted. Not only that they provide commercial or promotional advertisements on the sites which are quite frequently used by the users so that their brand is visible to as many individuals. Every brand wants that their representative should share the best of their services to the world via different social networks like Facebook, Twitter, Google plus etc. and keep the followers engaged. To further woo the customers and potential ones they launch campaigns and contests, in which the social media can take part and interact for free. The carriers interact with people sharing their details in case of any enquiries or issues faced by the individual which can be sorted out within a short span of the time. Representatives listen to the customer’s viewpoint and value their feedback for the services review which in-turn enhances the products and services according to customer’s requirement. Not only that during the time of festivities , most carriers provide you with some heavy discounts and coupons/juicer packs which could help you reduce the cost of the expenses which you are going to make and make the most from your broadband connection. They also offer you coupons which can be gifted to your near and dear ones just as a promotional gimmick. On the web, you will come across numerous sites which will be offering you with best deals which makes your broadband even more affordable. Recently we came across two of the prominent carriers which are quite active in the United Kingdom, which surely deserves a mention over here. 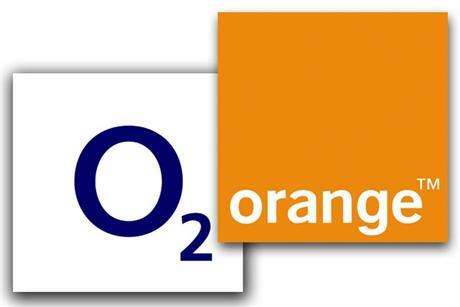 They are O2 and Orange. Both the sites focus on providing you the best deals with respect to mobile and data connection providers. While dealing with them you can cut down on the cost of paying to the middleman as you can purchase any branded mobiles such as Samsung, Motorola, Sony Xperia etc directly in just a single click by comparing the prices and selecting the one which suits your requirement. All the mobiles are available at a reasonable price, and you just have to share your shipping address to which the device needs to be shipped and you will receive it at your doorstep. Discount coupons are also an integral part of their promotional campaigns. The next one, Orange is another online shopping store which deals with numerous branded mobiles and networking equipments which are smart and affordable. You may also avail EMI options at flexible interest rates. Occasionally they also provide £5 free credit on pay as you go sims which help you bag the best deals and make your mobile experience worthy!